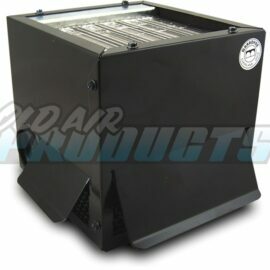 If you can’t find what you are looking for in our “Model Specific A/C Systems” Section, or you have a hotrod or custom classic car that you need a custom solution for, then one of our Custom & Street Rod A/C Units is right for you! Here you will find our Base Systems which include our HURRICANE® Systems, Underdash Systems, HURRICANE® Trunk Systems, Economy (700/800) Systems, and Heaters. Utilising a Base System you can create your own Custom Solution exactly for your needs. 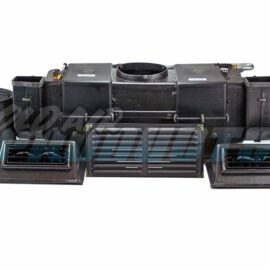 The Universal HURRICANE® Custom A/C, Heat and Defrost system offers a variety of vent and switching options as well as the ability to choose components to create a custom A/C, Heat and Defrost unit that will fit virtually any “Street Rod” or “Custom” vehicle. HURRICANE® Trunk Unit The HURRICANE® Trunk A/C Systems can be installed as auxillary units in larger vehicles or mounted in the rear of smaller cars that do not have enough space inside the dash for a traditional A/C unit. 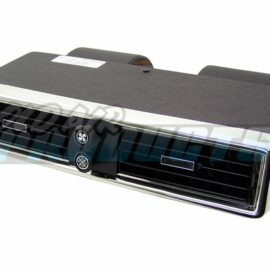 The Underdash A/C Systems are slightly less expensive units that can be installed directly under the dash. If you want to keep your factory Heater, or you just prefer the look of the underdash unit, then an Underdash A/C System might be right for you. The 700/800 Series Units utilise the same technology as our Under Dash Systems and are designed for use in smaller vehicles with a limited amount of space inside the dash, or as secondary units for larger vehicles. 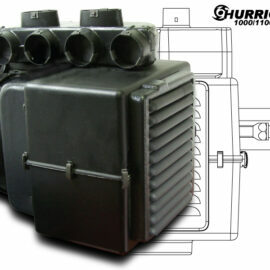 The Heaters section contains our HURRICANE® Heaters as well as our Economy IP-165H Heater. 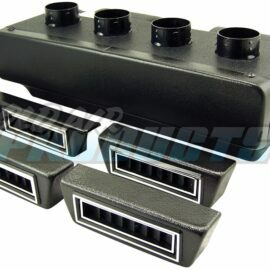 If you are looking for a Heat Only solution then checkout our Heaters section.